After a lean few years and a painful defeat against Magnus Carlsen few were predicting great things from former World Champion Viswanathan Anand in the Candidates. Instead the 44-year-old led from start to finish, winning with the same ease with which he first won the undisputed World Championship in a similar tournament back in Mexico in 2007. We’ve gathered together some of the first reactions to his victory, including the views of fellow grandmasters, his wife Aruna and Vishy himself. If you asked me who would NOT win then I’d be glad to give you a clear reply: Anand. Let’s agree on the following: if Anand wins the tournament I’ll publicly admit I understand nothing about life or chess, and you’ll never ask me to take part in such a survey again. I have to admit I understand nothing about chess or life. The tournament was super, the champion a hero! As part of my job I often work with some chess periodicals and archives and the situation with Vishy winning somehow reminds me of the situation before the Tal-Botvinnik rematch. If you open up the periodicals of those years you can read a lot of uncomplimentary words about the “Patriarch”. What’s he doing at such an age? And above all, why? But we all know now how things ended up. Besides, Anand, in contrast to Mikhail the Sixth, earned the right for a rematch with Carlsen absolutely fairly and who knows how the rematch will end if the Norwegian rests on his laurels. You can say a lot about how Kramnik, Aronian and other players didn’t come into the tournament in their best form but that makes no difference. The undeniable fact is that Anand won the Candidates Tournament with a round to spare after leading from the very start of the tournament. That means that in this particular tournament Anand was better than the rest. Despite all of those who didn’t believe in him and who I’m somehow sure will continue to say unpleasant things now the tournament is over. I really hope in the rematch Vishy can display his full potential and be the same Anand he was here: calm and confident in his ability. Overall I think the tournament was a success, although it lost out to London in a number of regards. The main one, of course, was intrigue. By and large that had already bitten the dust at the start of the second half when in the 9th round Anand beat Topalov and pulled a point clear of Aronian (while also having the better tiebreaks). I don’t know how to explain the terrible play of Kramnik and Aronian in the second half. They were pale shadows of themselves. Apart from Anand only two players can take something positive from the tournament – Karjakin and Andreikin. Sergey did great! With +3 in the second half he pulled off an incredible leap from last to clear 2nd. I can’t say the level of his play was outstanding, but the will power he showed after his disappointing results in the first half deserves great respect. Dima Andreikin didn’t, of course, set himself any big goals in this tournament and, strangely enough, that worked in his favour! I liked his comment after the end of one of the games in the second half when he said that he wasn’t setting himself any goals but was simply playing chess and planning to enjoy the remaining games. 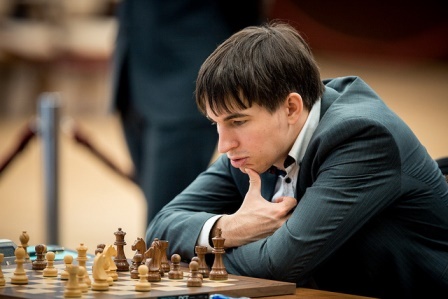 Of course Dmitry can’t match the other participants in top-level experience and opening preparation, but his healthy and practical approach enabled him to preserve enough energy for the end of the tournament. That explained, for instance, his victory over Aronian when the latter collapsed at the end. Anand is a more than deserved winner! Taking a look at his games I found myself thinking that he’s probably the one who can most lament missed opportunities (!). Apart from the game against Andreikin, where over the course of 20 moves (including the final position) he had an absolutely won position, you can also recall his games in the 1st half with Svidler and, once more, Andreikin. On the one hand that shows how great a chess player Viswanathan Anand is. On the other hand, his habit of taking things easy and minimising any risks is a big flaw, which was crystal clear in his match against Carlsen. I think that if Vishy doesn’t manage to alter his approach for the rematch, taking some necessary action, then he won’t have much chance. Nigel Short was interviewed by The New Indian Express. Frankly speaking, I didn’t expect him to be this good at the Candidates… Losing the world title has done him good. The burden is off and he’s playing more freely. 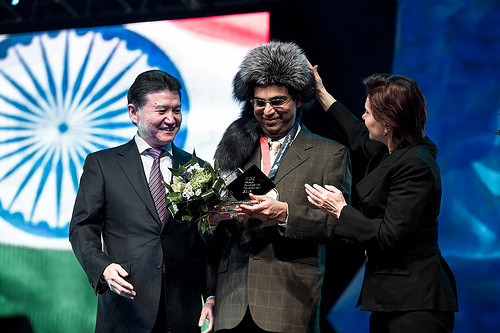 I know Vishy from a very early age and like Anatoly Karpov, pace has always been his hallmark. But he was playing like an old man for the last few years. He became circumspect and compromised on his natural style. He was playing for draws rather than going for wins. He suffered for his defensive approach and surrendered advantages when victories were there for the taking. I like Aronian. He’s a super talent but he has a tendency to wilt under pressure. It's very much like the South Africa cricket team — exceptionally good, but their handling of big occasions has given them the chokers tag. Aronian has to improve on that side of his game. As for Kramnik, he’s not young and with his age has become inconsistent. He’s just a kid. But we all know he’s a special player. There’s a touch of arrogance to the way he plays but that comes from his self-belief. There’s no harm in that. A champion player is expected be very confident about his abilities. I don’t think no one [sic] outside India thought that Anand could make a comeback at the Candidates. I don’t think here in India also people were optimistic. But Vishy is showing there’s still life in his chess and if he meets Carlsen again he won’t be carrying the World Champion tag as excess baggage. Yes, I expect the next match to be closer. The New India Express also asked some of Anand’s fellow Indian grandmasters about the rematch with Carlsen. It will be a different Anand who will take on Carlsen this time. He will be much more confident. This was one of the strongest Candidates Tournaments in history and nobody really gave him a chance. So this victory will undoubtedly see him go in to the World Championship match in a better frame of mind than he did last year. Playing away from home will actually help Anand. If you look at the opening exchanges of the World Championship match last year, both men were on an equal footing, but Anand succumbed to pressure as the game went on. It looked like maybe he had a psychological block while playing against Carlsen. He should look to avoid that. This match will definitely be different, that is for sure. 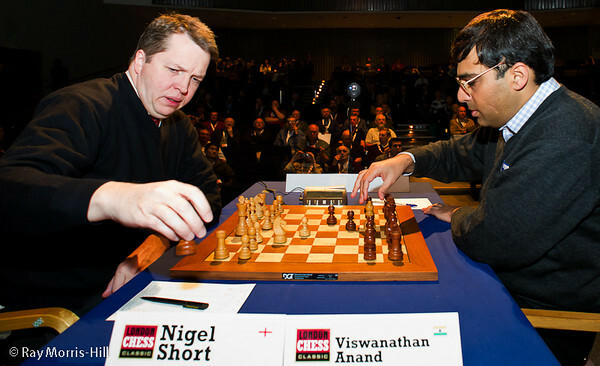 I cannot remember the last time Anand won a top tournament in such a dominating fashion. And another thing to remember is that he has already seen the worst. It cannot get any worse than what happened last time. So he’ll be even more motivated. One person who has suffered and celebrated with Vishy more than most is of course his wife, Aruna. That was a very difficult period. It was the lowest point of Anand's career. I have never seen Anand suffer so much. The entire family suffered seeing him suffer so much. It was not like he talked a lot about the match. He got used to the fact that the title was lost towards the end of the match itself but, of course, he was very disappointed with the result as well as his overall performance. He was actually well prepared for the Carlsen match but could not get good positions on the board. 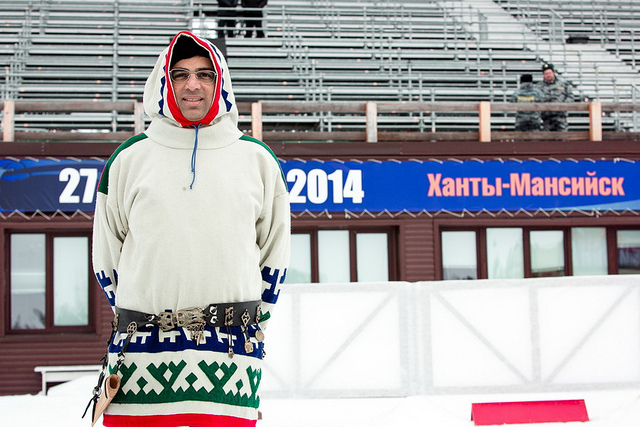 In Khanty, there was no such thing. How do you feel after a convincing win, in a format that was gruelling and had some of the best players in the world? It was a sense of relief. I played a lot more freely. I was wanting to play freely in the last couple of years. Somehow it was not happening. 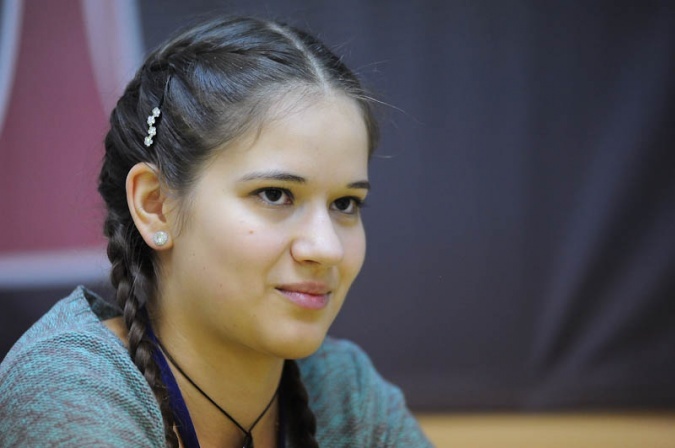 All I wanted was to play good chess and have a practical attitude towards the tournament. Very happy and satisfied to have won it. Many players did not give you a chance, with even our RB Ramesh stating that the scar of the World Championship loss would take a long time to heal. Were you hurt by all this? I did not pay attention to what people thought about me. I always take opinion from people who I really count upon. The loss in Chennai was painful. I was not the same player that I really was. People will talk about the loss for years to come. But I kind of moved on and did not think about it coming into the Candidates Tournament. What was the secret behind silencing the critics? Was it will power, pride? I am not the kind of person who goes about silencing the critics. I just wanted to play good chess. Touch wood. Do you cherish this win more as it has come at a time when critics doubted your ability to bounce back? I think the win is similar to the win in Mexico in the World Championship in 2007. I think my style of play here was similar to that one. It is an important win in the sense that it came at a time when people had practically written me off. How does it feel to take on Carlsen again? I am not thinking about Carlsen right now. I want to savour the moment and enjoy the win. Carlsen: "Most of them are a tiny bit desperate"
Round 11: Anand ever closer! Carlsen: "Kramnik's play was too emotional"
Round 2: We have lift-off! Round 1: The Tiger is back!